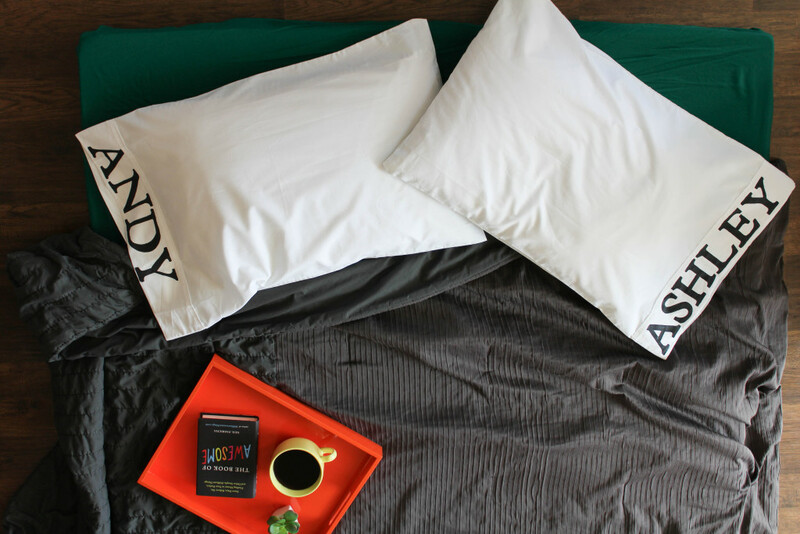 Want to create some DIY personalized pillowcases of your own? 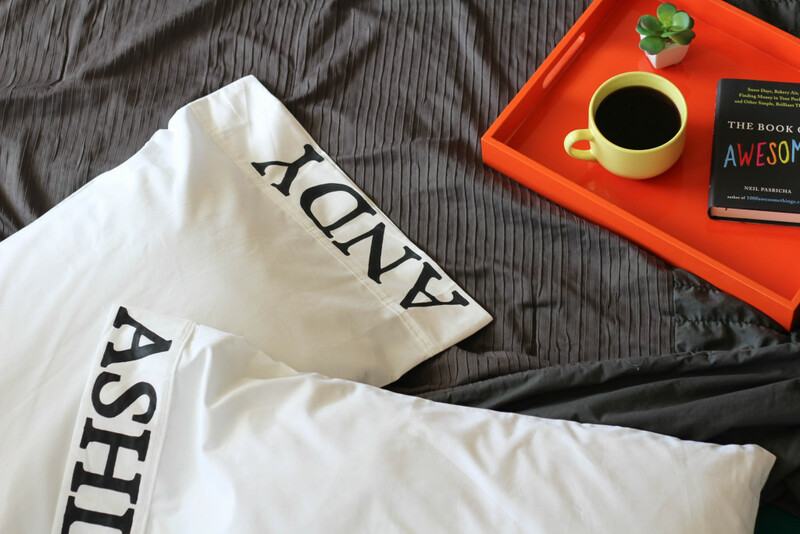 First, wash and dry your pillowcases. 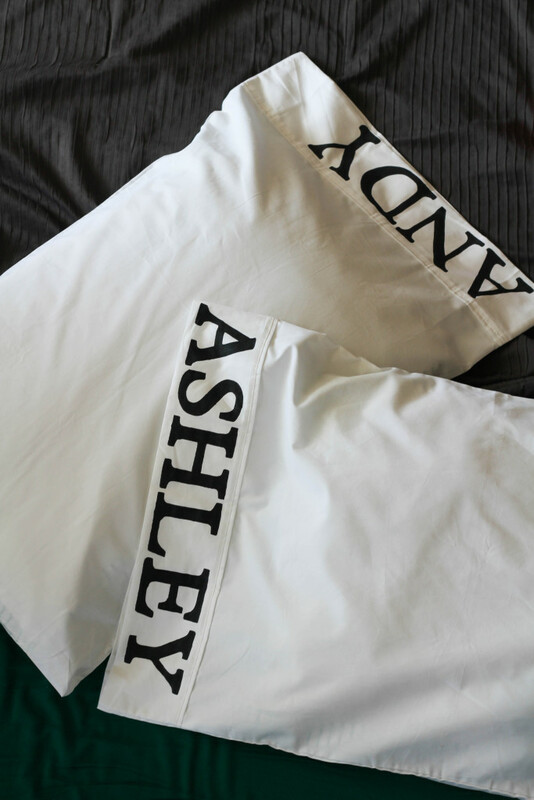 Next up, place your stencil on the pillowcase wherever you want the custom name to appear. I used my Cricut machine to create my stencil, but you could use store-bought alphabet stencils too. 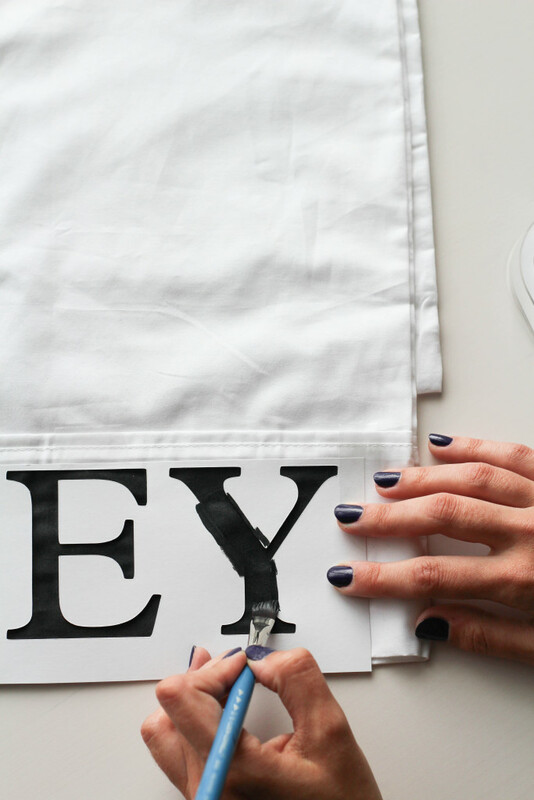 If you are using alphabet stencils, let each letter dry completely before placing the next stencil to avoid smearing! Let dry, and voila. Totally done. They really are that simple to make, but add such fun to a guest room when friends or family are in town. And if you’re just a little bit jealous of your houseguests, you could easily make your own DIY personalized pillowcases to keep in your room or the kids rooms too! Love this. Found you on craft gawker. Super simple, but such a great idea. 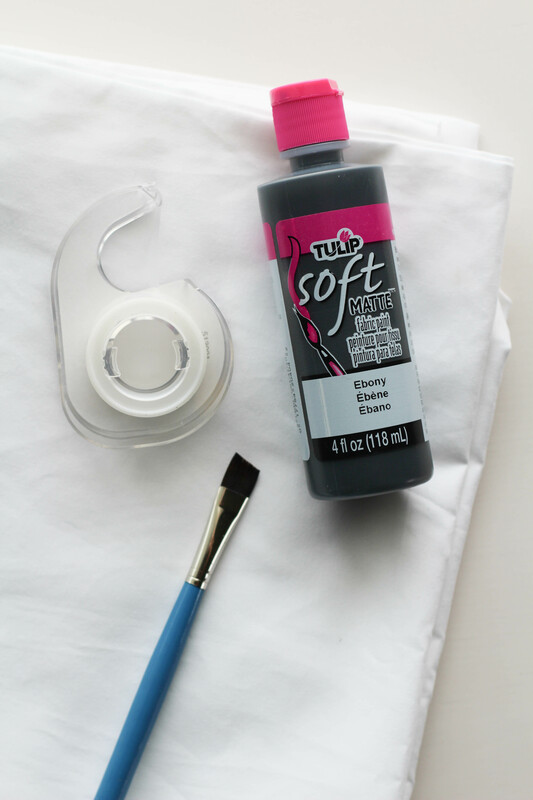 How did you prevent smearing and smudging? These are so crisp!! !